“Her child is in the custody of the government. The fact that she would skip town is incomprehensible,” said a lawyer for a 25-year-old Honduran mom denied bond. She had been held in SeaTac, but is now at the Northwest Detention Center in Tacoma. Ibis Obeida Guzman Colindres went before an immigration judge Tuesday, with what her lawyers thought was a good chance of being released on bond and quickly reunited with her 5-year-old son. A government official already had determined that Guzman Colindres had a “credible fear” of being persecuted in her home country, Honduras, overcoming the first hurdle in applying for asylum, according to the Northwest Immigrant Rights Project (NWIRP), which is representing her. She would have been the first of roughly 200 people transferred last month by immigration officials to the Federal Detention Center in SeaTac — about a quarter of whom had their children taken from them — to be reunited without being deported, according to NWIRP legal director Matt Adams. But at a hearing in the Northwest Detention Center in Tacoma, Judge John Odell denied the request for bond, saying Guzman Colindres posed a flight risk, according to Adams. Guzman Colindres’ son was taken to a Texas facility after the two were separated at the Mexico border in May. In a recent phone interview with The Seattle Times from the SeaTac detention facility, the 25-year-old single mom said she decided to leave Honduras after two men came to her house and said they intended to occupy it. She said she was scared for her son’s life. After crossing the border, she and her son were taken to an immigration facility and spent about an hour together in a cold cell before being separated, she said. Despite the judge’s Tuesday ruling keeping her in detention (she is currently at the Tacoma facility), the government still must bring her back together with her son. A federal judge ruled in late June that parents and children separated after crossing the border must be reunited within 30 days. 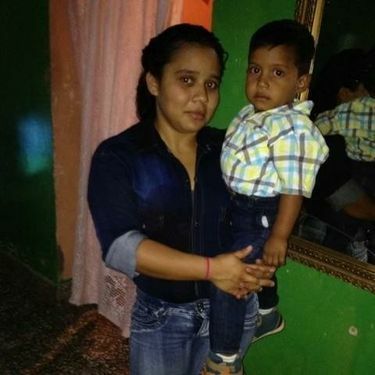 Consequently, Guzman Colindres and her son are likely to be detained somewhere together until their asylum application is heard, according to Adams. Typically, it takes three to six months for a detainee to get an asylum hearing, he said. Adams said he’s been given no indication of where the two might be held. Children cannot be held at the Northwest Detention Center.